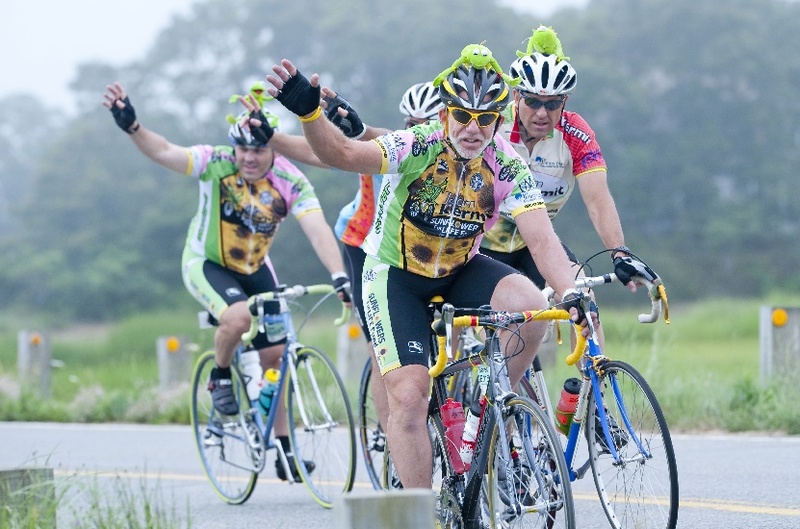 My families involvement with the Pan Mass Challenge goes back many years as donors and supporters. 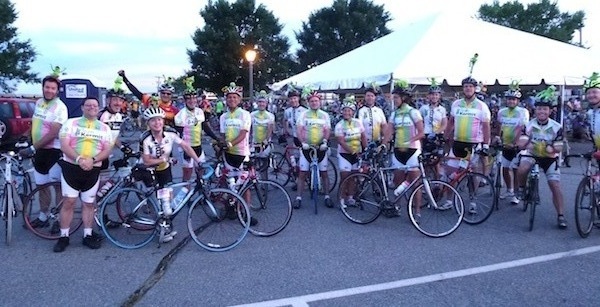 Ironically, we had never been able to participate as riders or volunteers because August was when we would take our family vacation which, for 14 years were cyclotouring trips! Ellen and I began taking short overnight trips with Jared and Adam in bike seats when they were 4 and 2 years old. After a couple of years they graduated to being able to ride on their own and the trips got longer and more challenging. Our last was an 1100 mile tour of Denmark and southern Sweden in 1999. 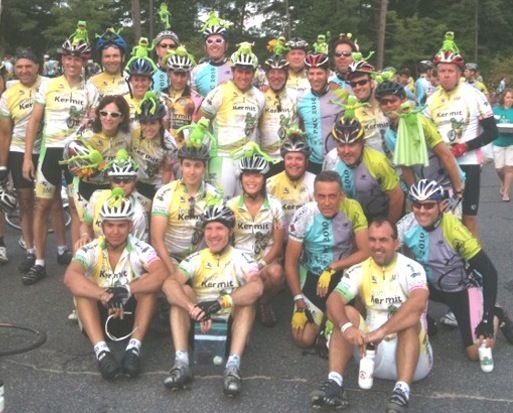 2004 marked our first Pan Mass as riders and volunteers, after our son and brother Jared was diagnosed with spinal/cranial tumors. Later that fall I was diagnosed with thyroid cancer. After surgery and treatment at the Dana Farber Cancer Institute I am fully recovered. Jared's battle with cancer began in 2003 after his junior year at Alfred University/NYS College Of Ceramics. 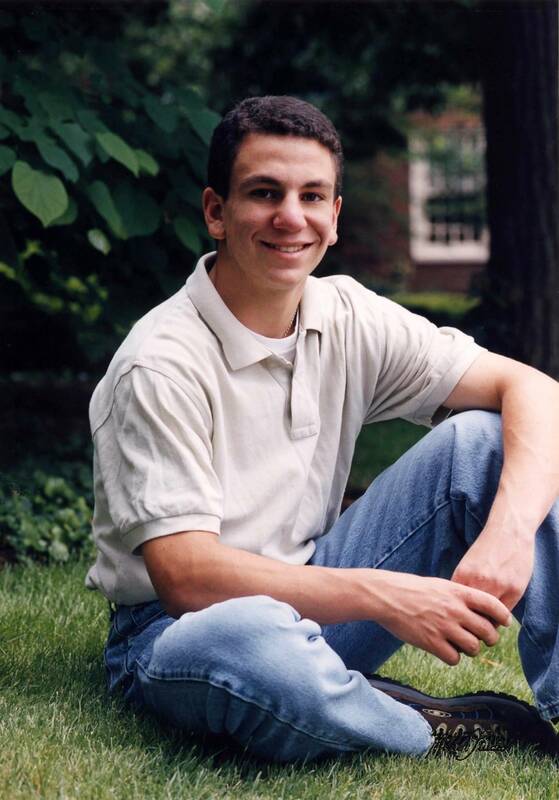 After fighting this terrible disease for almost 2 1/2 years, Jared passed away on September 27, 2005. He was 23 years old. Jared was an artist of extraordinary ability and passion. He was an athlete and league champion in wrestling, track, and soccer. He was a scholar of art history, hispanic culture and was fluent in Spanish. Jared endured the most rigorous treatments at the Jimmy Fund and Children's Hospital all the while maintaining his kindness, his positive outlook, and living his life to the fullest. The care and compassion that Jared received there and that we receive there to this day was, and remains, extraordinary. In 2004 and 2005 Adam and I rode the Pan Mass while Ellen and Jared volunteered, Jared in a wheelchair. 2006 was going to be the year that we all rode together. 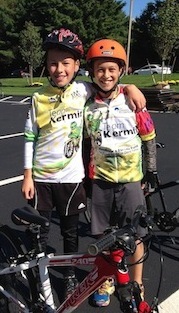 Instead, Ellen, Adam, and I rode in Jared's honor and memory along with 15 other dear friends as Team Kermit. Later that year we established the Jared Branfman Sunflowers For Life Fund For Pediatric Brain And Spinal Cancer Research at the Jimmy Fund. 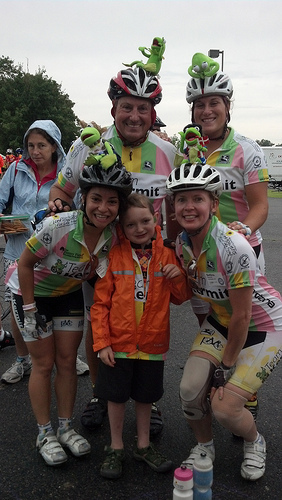 All the money raised by Team Kermit goes through the PMC and into our fund. It supports research into the type of disease that Jared had and is helping to make the dream of no more cancer a reality. It is a fitting legacy to Jared's wish to help others. 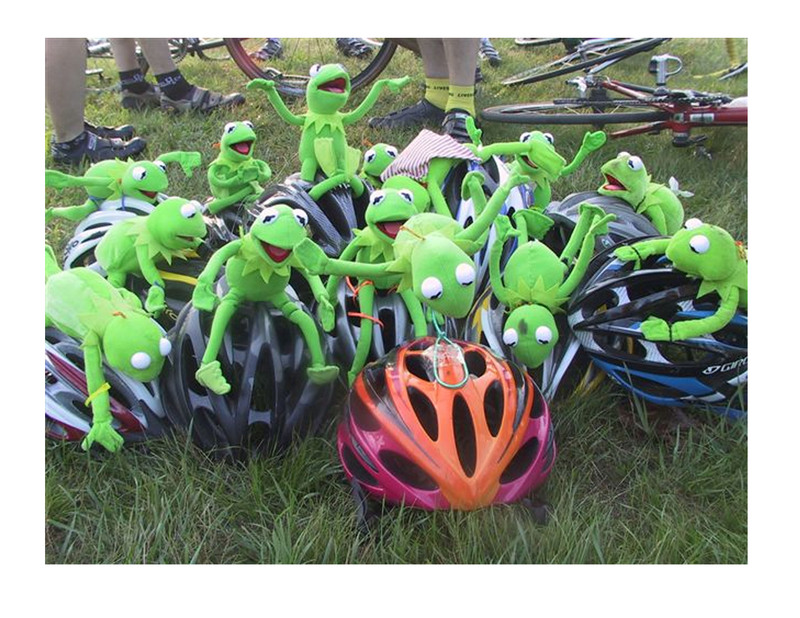 2019 will mark our 16th PMC and Team Kermit is growing every year. 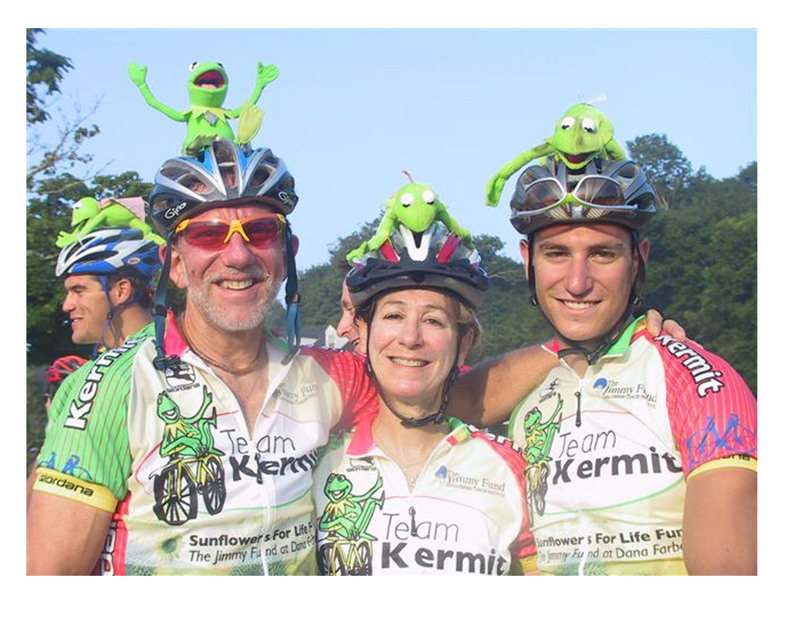 In 2012 my family and our Team Kermit was honored by being featured in the PMC Opening Ceremonies that was aired live on Chronicle Magazine. Here is the piece. Our story begins at the 2:15 mark: https://www.wcvb.com/article/pmc-on-cvb-team-kermit/7801199 In 2017 our family story was honored once again by being featured in the PMC Opening Ceremonies for the second time. Here is the four minute piece: https://boston.cbslocal.com/video/3709678-pmc-opening-ceremonies-steven-branfmans-pmc-journey/ We ride determined to see that cancer becomes a thing of the past. In the photo is Jared, Ellen, and Adam on our 1999 bike trip in Denmark. 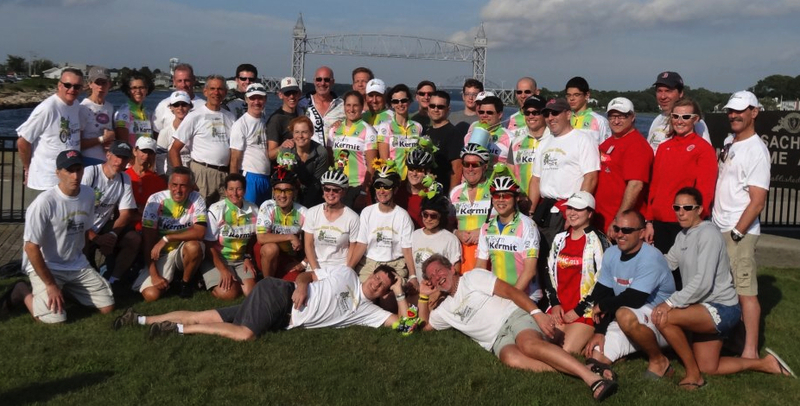 Our warmest thank you and love to all of our friends and family that support us in our daily lives and in our efforts for the Pan Mass Challenge and the Dana Farber Cancer Institute/ Jimmy Fund. Please make a generous donation and please tell your friends about our efforts. Join us in our fight to rid the world of this terrible disease so that your children, grandchildren, and great grandchildren never have to hear the word cancer again. Wishing all of you an easy ride. Continue to ride and fight. I'm with you in spirit 'tho I do not ride. Happy Birthday, Steven! May your year ahead be filled with joy, adventure and all good things. You are a blessing in this world! Beat this hideous disease back to Hell with a successful fund drive. Wonderful and important cause.Keep the faith. Much love from the Freebody family to the Branfman Family, we love you all! Here's a donation toward next season's charity effort. 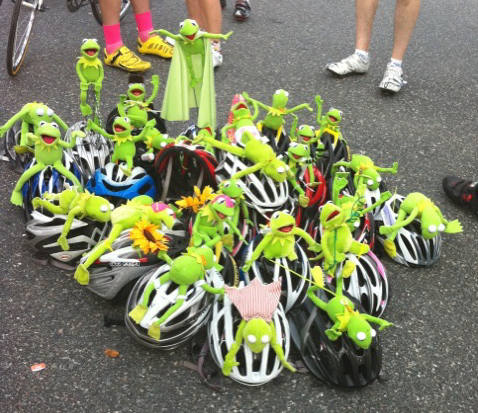 Keep up the great work TEAM Kermit!